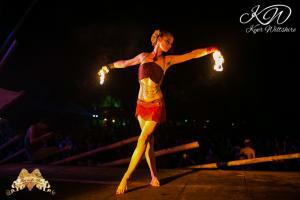 Santa Barbara holds one of Love in the Fire’s favorite festivals to perform their fire dance duet together. 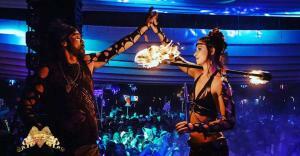 Lucidity is an incredible meeting point for fire dancers worldwide as it hosts an explosion of creativity, performance art, top quality production, and interactive installments all set along a beautiful oak forest just minutes from Santa Barbara. 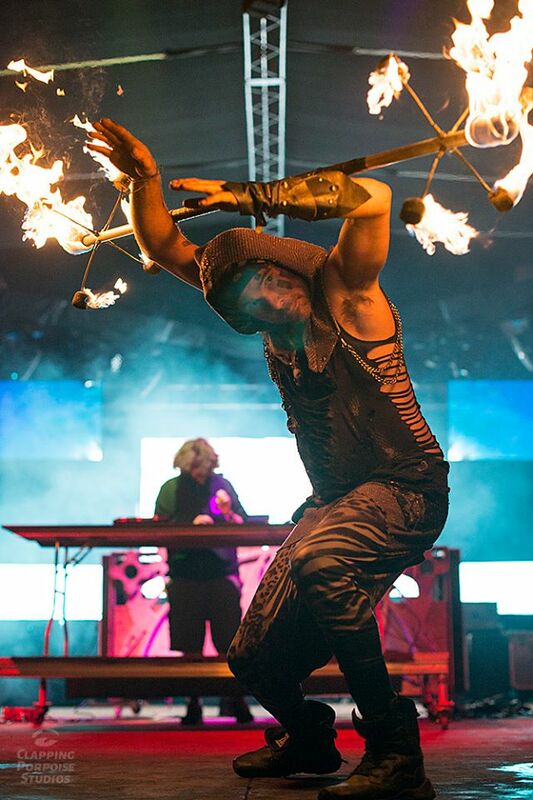 This year Love in the Fire partnered up with the musical talents of Zephan and the Tribe along with 10 top international performers to collaborate and create the main Crossroads Show that took place on sunday night. 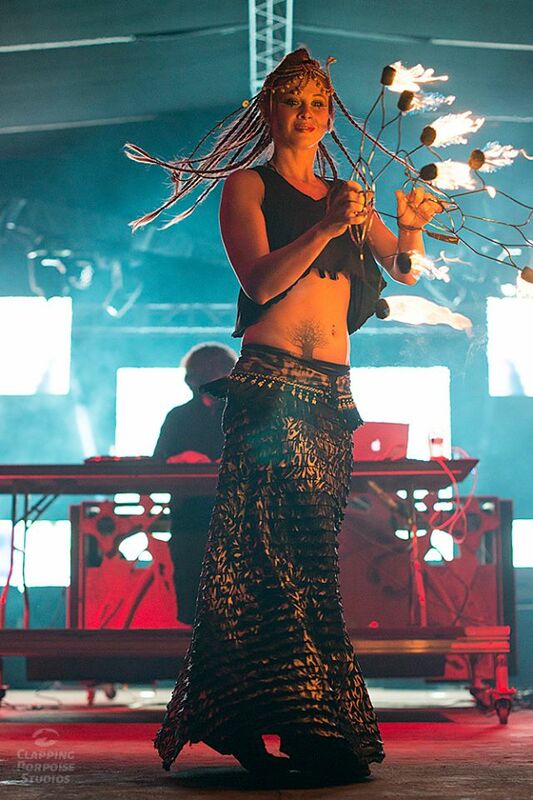 Opening up with a live vocal performance from Carmina Barba and the beautiful Juliette Nau dancing with fire fans inviting the audiences awareness into this pivotal moment of crossroads for humankind. 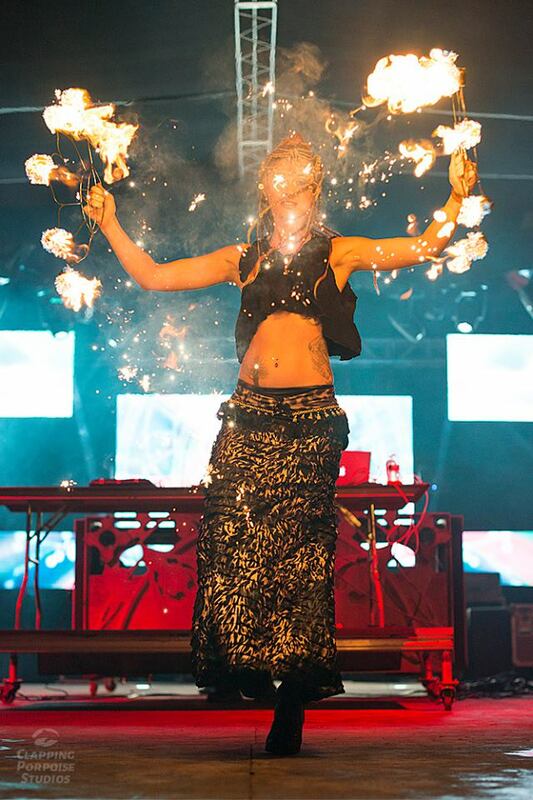 As performers filter through the stage, the scene is set for Autumn Phillips, Chanel Pepper, and Alicia Marie who performed magical aerial acts dangling from giant spheres high above the audiences attentive eyes. 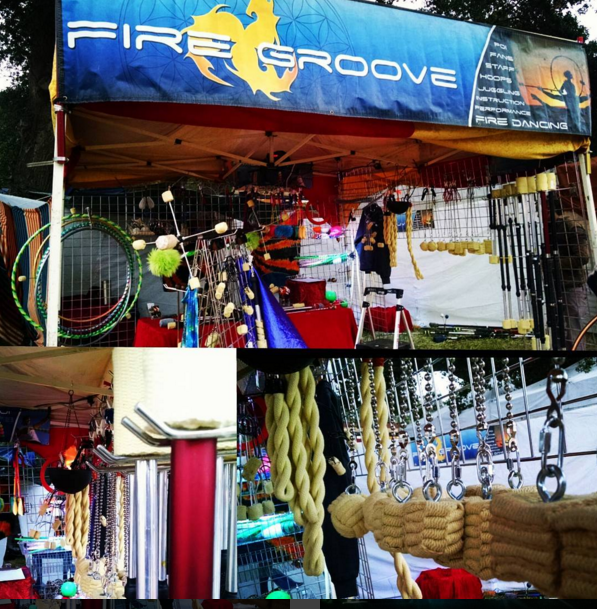 From the gravity defying high-energy of Danny G on the Cyr wheel, the 20 ft drops from Julia Grace as she performed aerial rope, to the incredibly smooth fire dance shoe routine of Anthony Greenz, it seemed as though the stage was alive with a perfect balance of incredible talent! 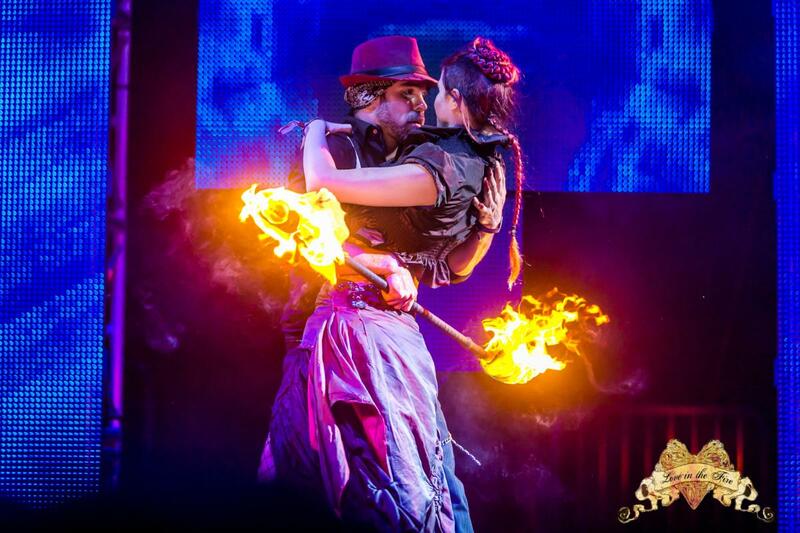 Lester and Samantha came out near the end of the show and performed their 4 minute long contact staff fire dance routine. 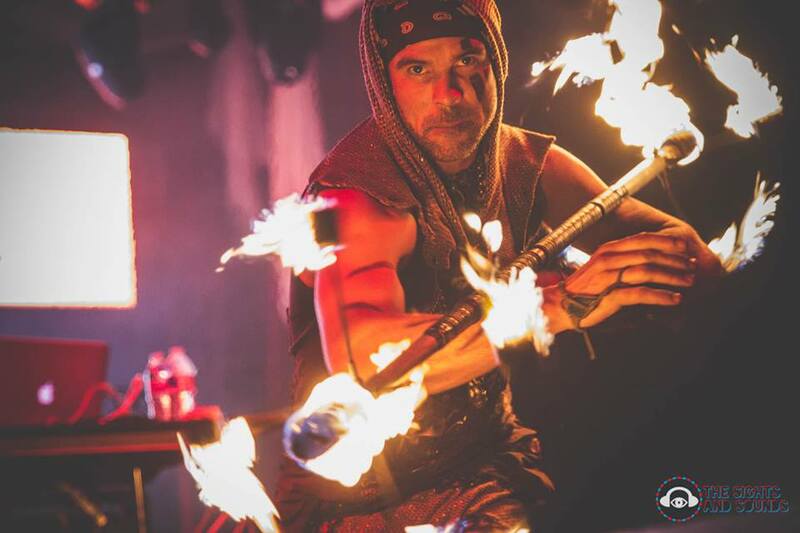 With the beautiful sounds of Zephan and the Tribe and his live band hitting every note so perfectly to Love in the Fire’s choreography it seemed as though they had been performing together for years. As the routine came to an end Lester dipped Samantha below the fire and gave their final bow and the crowd cheered delightfully. Once again another great year at Lucidity and huge thanks to all of the event organizers and volunteers that help put it on. See you next year!!! Check out our Home page, Blog, or Gallery to get new updates on what we are up to.